The modern day classic single person tent, with multiple Best In Test awards. Modified in 2011 (previously the Laser Competition) with a smaller pack size and improved ventilation. The modern day classic single person tent, with multiple 'Best In Test' awards in the industry. Updated in 2011 with a smaller pack size, extra ventilation and 4 additional guy points for increased pitch stability. 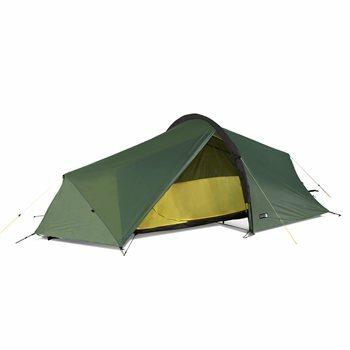 High quality DAC Featherlite poles are used in the Laser Competition 1 tent, which is also compatible with the Terra Nova FASTPACK system, allowing those who want to trim weight further when conditions permit, to use the flysheet and the fastpack groundsheet which is available separately.